Kochi: 'INFLORE – 2018', 14 the management fest organized by Rajagiri College of Business Studies, Kakkanad was held at College Campus. Christ University Bangalore won the overall championship. The official inauguration on INFLORE 2018 was done by Dr. Joseph I Injodey, the Executive Director of Rajagiri College on October 5th 10 am. The first sale of the Chekkutty doll and Manjali Halwa were made during the inauguration ceremony by the students to the executive director. The competition began right after the theme dance, which was based on the theme carnival 'The Thousand Spot Light. It was a visual treat for the audience. The highlight of the day was the cultural night where the fashion show was the main attraction. Cine artist Ms. Liona walked the ramp with the students which increased the spirit of first-day fun and was followed by other cultural events. The students from the northeast and foreign countries also represented their cultural performances added more fun to the day. The second day started with the iconic event corporate walk. 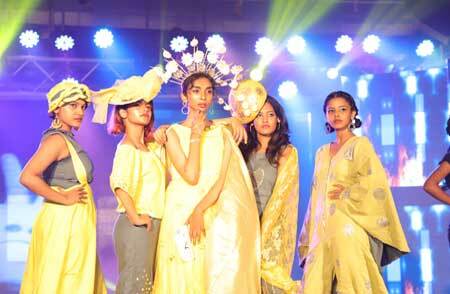 Students from prominent college walked the ramp. The other two highlight events for the day were Short film festival and Best Management Team. Prominent Director of the movie 'Spadikam' Mr. Bhadran was the judge for short film and renowned personality and public speaker Mr. Rahul Iswar Iyer judged the BMT. The valedictory function was inaugurated by Hon. Minister of Food and Supplies Mr. P. Thilothaman, MLA P.T Thomas addressed the gathering. Apart from the previous year, INFLORE 2018 witnessed the record-breaking participants of 2000+ and had the footfall of 7000+. The valedictory function started with a dance performance by the Rajagiri Students for paying a tribute to all the heroes of Kerala flood 2018 Inflore -2018 was an event for a cause to rebuild Kerala, three societies were selected to be helped to rebuild their lives. The representatives from Manjali Halwa makers, Chendamangalam weavers and Aranmulakannadi manufactures received the fund, that was raised by the students from the two-day events. The fund was handed over to the society by the Minister and Dr. Binoy Joseph, Principal of Rajagiri College. Cash prizes worth 5 lakh was given to all the winners in the valedictory function. Prof. Saji George faculty coordinator on INFLORE 208 delivered the vote of thanks.